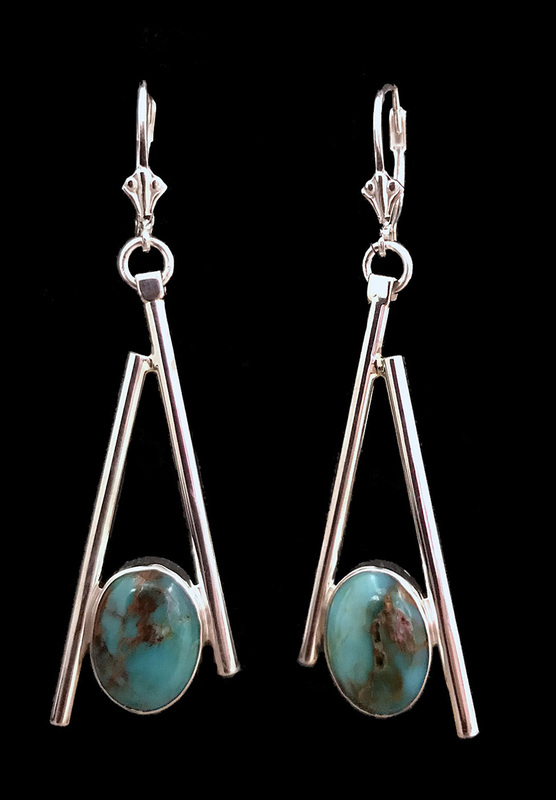 Linear Jewelry - This is a handcrafted pair of beautiful dangle earrings created from high polished square tubes of sterling silver that are accented by oval Blue Turquoise cabochon gemstones. These are light and fun and shown pierced, but available as clipped. Simple, but elegant. These earrings are made from sterling silver tubing so they are light and comfortable. The earrings measure 2 .25" long with Lever backs as shown, and are .65" wide. 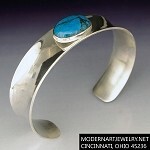 The Turquoise cabochons are oval shaped, 14mm x 10mm and are fully bezeled. These earrings are available in different stones. Please choose the type of earring back you prefer.